Offering products crafted from 100% pure mulberry silk – developed and refined over 10 years for ultimate quality, specially commissioned and made to Slip’s exacting standards – this brand is the ultimate in chic luxury (and minimised damage!) Kind to your delicate strands and exactly on trend, Slip’s Pure Silk Hair Scrunchie sets are designed to avoid hair creases or kinks and minimise damage. 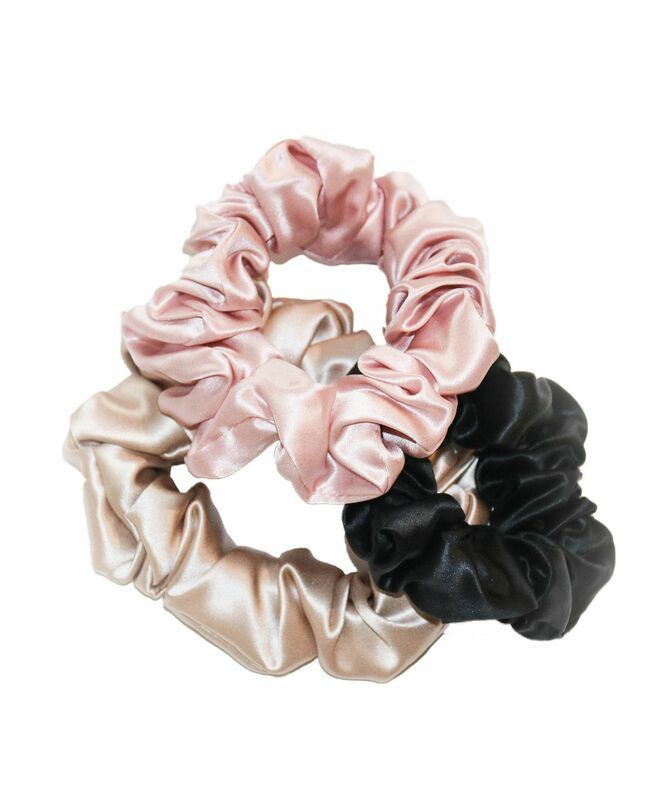 Made from a specially selected elastic tie with a sumptuous silk covering, the set includes pink, caramel and black scrunchies, in large or slim sizes! Byrdie called them 2018’s best hair accessory – and now they’ve arrived in our Hall of Fame! 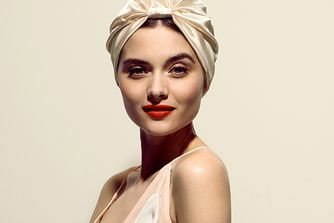 Minimising damage while looking totally chic, these scrunchies are far more than a nod to the 90s… Specially selected elasticated bands are covered with Slip’s exclusive Slipsilk covering, crafted from the highest grade(6A) long fibre mulberry silk, with a thickness of 22 momme. Whether you’re creating a ballet bun, the highest high ponytail, tossing your hair in a topknot or creating an intricate ‘do, this sumptuous silk ensures that you create no kinks or creases while being kind to your delicate locks, ensuring that there’s no damage or breakage. Available in large and ‘Slip Skinny’ sizes, the blush pink, chic caramel and midnight black shades will suit every look and mood. Use to secure all kinds of hairdos. 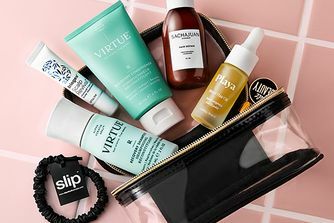 Slipsilk™ is specially-commissioned and made to Slip’s exacting standards, developed and refined over ten years to provide the ultimate combination of shine, thickness, softness and durability. Slip uses the highest grade (6A) long fibre mulberry silk, with a thickness of 22 momme and enforces the strictest quality guidelines, including non-toxic dyes. These have such great quality and perfect for a cute hairstyle for day and night. Worth the price :) The hair does not tangle and is shiny. Really comfortable for sleep, I recommend. These are the best. My hair is in a better condition since I've used them, much better than the plastic telephone cable ones. I first got cheaper ones from Etsy, but then decided to go for these. Not comparable. So soft but keeps your hair perfectly in place. Use the small ones for making a high pony tail and then warp the hair to a bun and secure it with the big one. For sleeping I only use a big one in a messy bun. These hair ties are super soft and seem to be more gentle on the hair than the plastic telephone cable ones. Only four stars though, due to the insane price. They keep their elasticity and don’t brake or damage your hair or leave that awful kink when you take your hair down. These are the best bands I have purchased on the expensive side but I guess you get what you pay for.